Romulan Ships from Discovery they could add in. During the timeline of Discovery and Tos we know Klingons and Romulans had an alliance. 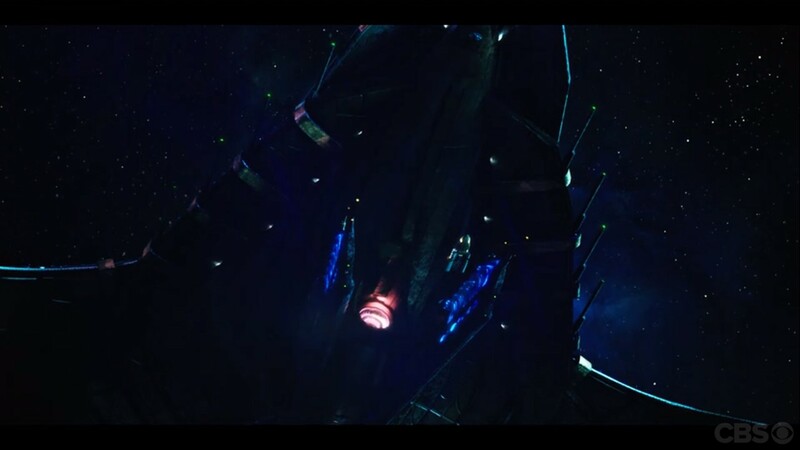 The Bird of Prey Seen in Discovery looks so Romulan its obviously got to be a romulan ship just like the Romulans D7 is a Klingon Ship Design as romulans would not design a ship like that. We know they have been trading technology and cloaking devices and ships with each other and I do think they will be seeing this in discovery at some point. When they do add in the other Klingon discovery ships they need to add the Discovery Bird of Prey and D7 as romulan ships as you can see in the design it is romulan its the way they design are designed. I think somewhere they might have mentioned the klingons stole it from the romulans but they could have traded the two ships designs with one another in some form of deal. Also the Klingon Prison Ship which is a D7 looks Romulan in Design as well. While the tos d7 below it obviously is Klingon. Now look at the Kelvin Romulan ship and the Discovery Bird of Prey. Then look at the Klingon Bird of prey seen in the shows and movies before discovery and then look back at the Discovery Klingon Bird of prey. Aka Totally Romulan in design. Here is another look at the Klingon D7 Posting it here, as I edited my post so many times the Edit monster might even eat it if I continue. I should have shown this but couldn't find it till I looked up Discovery D7 Front. In a way it could look like one of the sto scimitar front types. 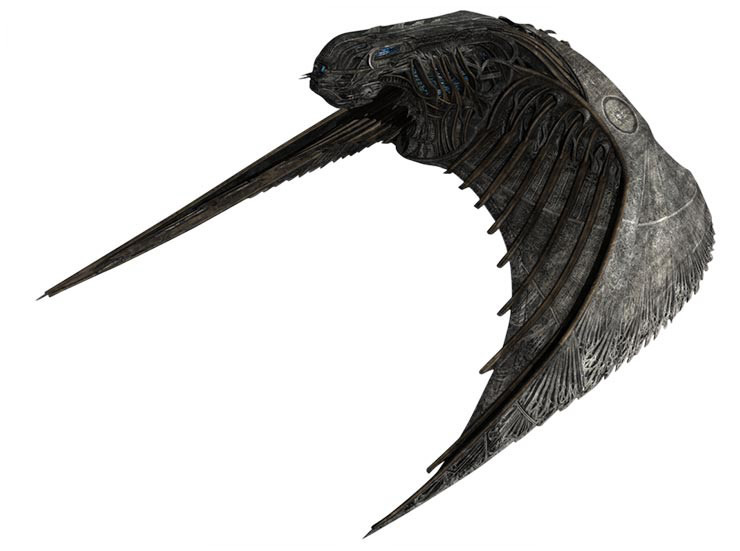 Or look maybe like a twenty third century of the Romulan Ha-Feh Warbird. Or some other ship that looks kinda like the d7 in startrek discovery. The ship that the shuttle identified as a "Klingon Dee Seven" is in game (as an NPC) called the "Sech class". Since the AoD part of STO is under CBS' oversight and is supposed to be canon to the series itself (unlike the rest of STO), I can only guess that the shuttle's computer systems were being interfered with by the tractor beam they were caught in. Season Two Discovery trailer has had a ship in green outline that is very similar to the K't'inga, so that likely isn't a D7 (admittedly, this is likely backpedaling like Klingon hair). As for ships coming in game as Romulan proper from Discovery, I doubt there will be any added unless Discovery explicitly shows any. If you want to have access to Klingon Discovery ships, you're likely to need a KDF-Rom (which already has access to the Sarcophagus Dreadnought via lockbox). There's a experience weekend on the Calendar, if you don't have one already end-game. The Klingon BoP and the "D7" are already in game. What I'm talking about is making the discovery bird of prey and d7 adding them to romulans as playable ships. Why because they are just not Klingon Looking Designs they look sleek, brand new, not the rusty the Klingon empire has been known to use. It could be T'kuma which sounds ironically Vulcan or romulan. Made deals with the Romulans to supply his forces with Romulan ships. Mirror universe Andorians and Vulcans were using the same kind of ships. 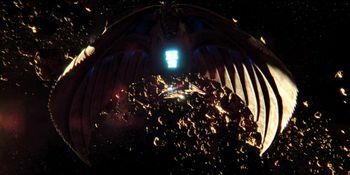 Working with the Klingons and I can imagine they got those ships from the Romulans as the Klingon Fleets were more then likely completely wiped out by the Terran Empire at the time given what happened to them. I think the Resistance seen in discovery traded or took Romulan Technology as well. The Vulcan Datacore could have very well have been a Romulan one. Maybe even the Prime Klingon Ships seen might have used Romulan data cores cores. If they are a thousand years apart culturally and we know Romulans have been involved on Vulcan maybe as spies for the Star Empire for quite some time in the 22 century . It wouldn't surprise me if they stole their technological advances for themselves. Klingons and the Federation have not interacted with each other officially ever since Archers Time. They have very much avoided each other. Plenty of time for The Klingons and Romulans to form, their alliance and it could be because they see Federation as a possible Threat to their very societies and dominance why because of how the Federation Operates they both hate seeing another galactic power on their front doorsteps. One that had Progressive Values that work against their very cultures ideas of how things should be and beliefs and Ideals. Both sides had very good reason to be angry at the Federation. Klingon Augment Virus and Romulans losing their foothold influence and losing the Romulan- Earth War only for a power they feared would happen, happened because of them. A good case of Nice job fixing it Villain. I can imagine the Anger of Both powers only Growing as the Federation expanded itself. Propaganda against the federation may have influenced T'Kuuma to Rise against it. Also both the Klingon Empire and Romulan Star Empire are Empire States. The Klingons are more of a feudal monarchy, and will go to conflict with those as a threat and the Romulan Star Empire. Uses Sabotage, spy's and propaganda to get what it wants. My Theories for T'kuuma is he and his house and other houses were manipulated by the Romulans who didn't know the game the Romulans play till it was far too late. Surreptitious political disruption of rivals and Limited, surprise or covert military action. These are the very things the Romulans have been doing for Quite Some time. Also Section 31 does it and House Mo'kai might do the very same thing So its not just limited to the Romulans. All Three could have very well played a key part in causing the 1256 and 7 War. I hate to break it to you, but as much as you wish the DSC Klingon bird-of-prey to be a Romulan ship, it is indeed a Klingon ship. The reason for it and all other Klingon ships looking like the way they do is due to original show runner Bryan Fuller, whom wanted to have each Klingon house to essentially have their own designs for ships. The bird-of-prey was designed with gothic aesthetics in mind. Also, in terms of canon, Klingons haven't officially had the alliance with the Romulans yet. that happens mid TOS. Those are not Romulan ships...if you attempt to make them into Romulan ships...there will be trouble. There are no Romulan ships in ST:D.
Maybe they are just Klingon in design, it will all depend on what they do in the show. They might have tried to make them all look different by doing so. Making them so unlike typical klingon design really angered a lot of folks in Discovery. That one ship does look romulanish even if its meant to be a Gothic Klingon Ship. 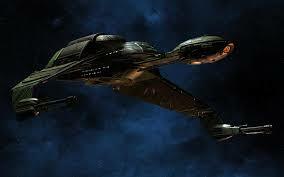 When I first saw it in discovery it really did look to me to be a romulan warbird. Just because of its design alone and the way it was shown in the First Episode. I'm sure others thought it was not even a Klingon ship but another alien race. The way they handled Klingon really was what turned people off on Discovery and I believe its the major reason why people hate it so much or claim to hate it. Luckily they are correcting those mistakes or working to correct them in Season 2. I am hoping they add in a canon explanation one more fitting that can go into established lore. Like Personal House Star Ships and Not Klingon Empire could work or maybe trading with other races when they are not able to afford making their own starships. I believe this will be enough to satisfy at least some folks. As for the differences in Klingon Appearance they really need an in canon explanation that will make sense, maybe it could be a house thing. But they really need to explain the Augment Virus and how it effected all the Houses. How many Klingons got effected by this and maybe another outbreak of it. Before they go into Tos itself. So Federation would have records on it, but most folks don't bother to even learn about it. So Knowledge of it would be common enough for No one to really be surprised by their looks. The whatever ritual that allowed the Mokai making human looking Klingons won't fly by itself because of established lore from Enterprise. Mokai could have easily altered him for a time without removing everything and cutting and torturing him. How would they restore him to the way he was before. They would need to explain those techniques. As there was one Klingon that disguised himself as a completely other race. By using Dna Resequencing then restoring himself afterwords. The Klingons in TOS weren't hiding the fact they were Klingon, except for Arne Darvin who was an undercover agent. Have you considered that they aren't rolling everything out all at once? Oh... and are they SUPPOSED to have a regular, set schedule for ship releases? If so... is id to be determined by you or any other player? Dude... don't be so pessimistic. We'll get more KDF ships. And Romulan ships too. Devs have said so. This time of year is VERY busy for them because of the Winter Event followed by the Anniversary Event. Not only that, they're human like you and me. Not machines that can churn out ships left and right to satisfy everyone. Just be patient. Sad that people need to make up their own canon just to make sense of Discovery. They called it a D7...they either made a mistake or can't even follow their own continuity much less Star Trek's in general. It could be a production error, just like how apparently Starfleet always used the arrowhead symbol rather than unique symbols for all ships. Don't forget that in the season 2 trailer we do see a hologram of a legit D7. Also... it could be like how NATO designated Soviet aircraft as well. Well it doesn't matter if you think they look Romulan in design. So far they ARE klingon designs, and will be so until the show says something diffrent. Honestly, the way I see it is: since the Empire have been pretty much been split up until Discovery Season 1, each house which ruled diffrent sectors of klingon space had proberly developed their own(or taken from defeated aliens) tech and designs. And based on the ship display seen in the trailer for season 2, aswell as the fact the Empire is now united... It seems like the klingon engineers from diffrent houses have worked together to design new improved ships of war, which all the houses get access to. "Please, Captain, not in front of the Klingons." Spock to Kirk, as Kirk is about to hug him. Star Trek V: "The Final Frontier"
I thought the Romulans didn't come around until Kirk's time. I believe Balance of Terror was the first episode with the Romulans, and Spock said it was the first time they were seen in 100 years or something like that. It was the first time the FEDERATION had seen the Romulans since the end of the Romulan War. We know the Romulans had been dealing with the Klingons on and off again in that time. Discovery even references this with a tent with the Romulan symbol on it on Qo'nos. Just like after the Romulan retreated again after the Treaty of Algeron was signed in 2311, the Federation didn't see the Romulans again until 2364, but we know the Romulans and Klingons had been fighting each other during that time. While it is possible that we may see Romulans interacting with the Klingons... they won't be going anywhere near Discovery. Although I wouldn't mind seeing a modernized T'Liss BoP. Probably would have more of a T'Varo asthetic, but with round nacelles and a wider back end. Norway and Yeager dammit... I still want my Typhoon and Jupiter though. JJ Trek The Kelvin Timeline is just Trek and it's fully canon... get over it. But I still prefer TAR. That's quite a bit of a stretch. We're talking about a tent in a slum. But let's take it a step further and proclaim that tent to be an embassy. The US has an embassy in Russia and likewise the Russians have an embassy in the US. Clearly they are military allies that share military equipment designs right? Well in fairness if they were enemies they'd hardly be popping up a tent advertising their faction on the enemy home planet, nor would the Klingons allow them to set up shop on their homeworld. I'd say it's safe to assume the Romulans and Klingons at least have a somewhat open relationship whereby trade and contact is maintained. At least going by the presence of the market stall. Romulans and Klingons did not have an TOS alliance. That's just common fanfiction. I hope you warmed up before that stretch . Could be an embassy. Could be a Romulan smuggler defecting to a slum on Kronos. Could be an Orion or Ferengi tent stolen from Romulans. Could be a bar. Could just be a tent from an Imperial Military surplus store. That's not a production error it's intentional. The TOS and pre-TOS uses of the Delta outweigh the use of individual emblems. I won't say the individual emblems are a production error, they clearly have some sort of significance but even TOS and TAS used the Delta for non-Enterprise ships. That's another common piece of fanfiction like the supposed TOS Klingon/Romulan alliance. That logic just doesn't pan out. A trade relationship does not equal a military alliance in which ship designs are shared. A Russian citizen could walk into a McDonald's and buy a meal but that doesn't mean that the US would give or even sell ships, tanks, guns etc. to the Russians. There are numerous examples of bars and restaurants for expats around the world that fly the flag of the country in which the expat bar/restaurant is stylized after. In each instance, the business in no way reflects the political or military relationship or lack of a relationship between the two countries. Pretty sure that document says otherwise. It was a recognized production error on the part of the costume department, pointed out by one of the production leads during the filming of an episode pointing out a mistake from a previous one. While we haven't really seen a lot of personnel from other ships, this was pointed out during the production of TOS. Most personnel we saw after that apparently used the "Starfleet Command" emblem rather than the Enterprise Delta. They were also for the most part Admirals or Commodores. We really never got to see lower ranked personnel that I remember. The production error was easily handwaved as them not being commissioned Officers, hence the mention of Merchant Marine. However the existance of other ship specific badges is still a bit of an issue. THis issue is also highlighted by the use of a non Enterprise Delta used for the crew of the USS Defiant in the Enterprise mirror episodes. Yes its apparently supposed to be that Starfleet ALWAYS used the delta that is associated with the Enterprise, but... we still have these issues coming up. Yes fanfiction. I assume those producers and designers were fans of their own show. But as their intent didn't make it onscreen and the pre and during TOS use of the Delta did then their little idea is fanfiction and the usage of the Delta is canon. Some members of the Defiant's crew have a Delta on. There's the assorted officers from 'Court Martial', and of course the USS Ariel all from TOS and TAS. I never mentioned military alliance. I'm merely saying that the fact a Romulan group is openly in business on the Klingon homeworld is evidence enough that they were not mortal enemies at least. Otherwise they have been thrown offworld, or never allowed there in the first place. artan... why are you arguing against me when in a way I was actually AGREEING with you on the use of the Delta as fleetwide and not just aboard Enterprise? The document spells it out that Starfleet is SUPPOSED to be using the Delta for all personnel, and the differing insigia is an issue being addressed by said document. And then I pointed out the issue kept coming up later on, as depicted with the various ship patches and a screenshot from Enterprise of a Defiant crewmember. While all the various patches in that picture may not have all been seen on screen, the Defiant one most certainly was, so that detail is not fanfiction, it is canon. The question remains however, was the individual ship insignia just a holdover from a production error or was it turned into something else, at least in regards to assignment to Constitution class ships? So why are you calling me out when I'm actually on your side and just providing more material? So, there's Word of God from producer Bob Justman. Deltas are canonical. 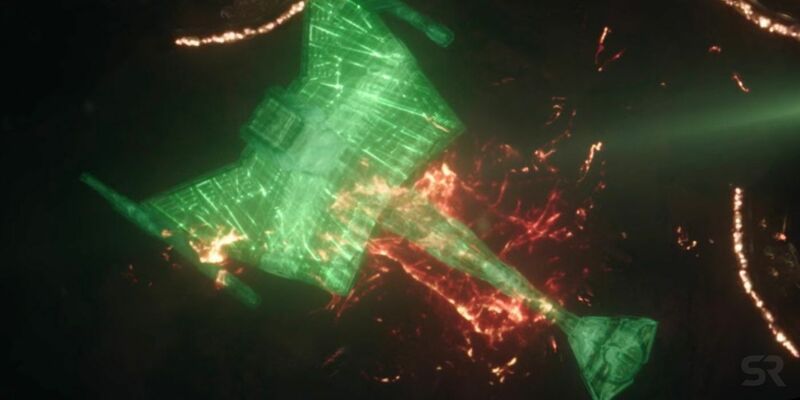 As for Romulans, no Federation member knowingly saw one of their corpses during the Earth-Romulus War, due to their habit of detonating a self-destruct device every time one of their ships was defeated in combat. After the Battle of Cheron in 2160, a treaty was negotiated entirely over subspace radio, with neither side actually seeing the other during the talks. The Romulans were confined behind a belt of space designated as a Neutral Zone, similar to the Korean DMZ, which neither side was permitted to violate with military craft (it is implied in TWoK that there is civilian trade, although before the events of TOS:"Balance of Terror" all such trade would necessarily have been carried out through third-party intermediaries). "Balance of Terror" also has a commander of a T'liss-class cruiser who complains of war weariness, and who mentions having been on "a hundred campaigns" with his first officer. This implies that the RSE was at war with at least one other power, possibly more than one, that qualified as a significant threat to the Fleet. Bottom line is that we haven't seen any Romulan craft in DSC, so unless we see some in a future episode, there almost certainly won't be any DSC-era Rom ships in STO.